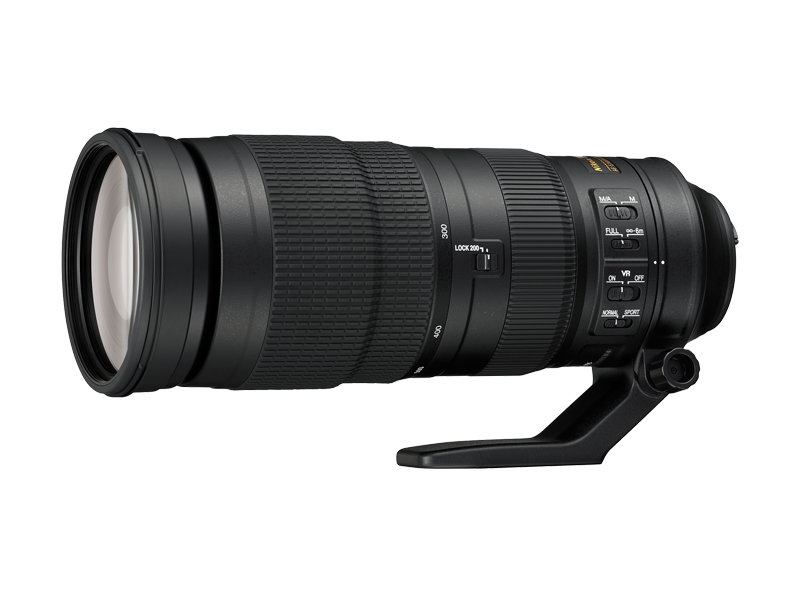 FX-format compatible, 2.5x super-telephoto 200-500 mm zoom lens with a fixed maximum aperture of f/5.6. * When attached to a DX-format digital SLR, the angle of view is equivalent to that of a lens with a focal length of 300-750 mm in FX/35mm format. ED glass elements are employed to achieve high optical performance with minimal chromatic aberration. Vibration Reduction (VR) system with an effect equivalent to a shutter speed 4.5 stops* faster in NORMAL mode. The screw-on type 95 mm Neutral Color NC Filter and 95 mm Circular Polarizing Filter II are optionally available.